Our Ozone technology uses a patented the cold plasma corona discharge for ozone generation and it is recognized as the leading technology for chemical-free sterilization and removal of natural and manmade water contaminants. The newly understood hazards associated with chlorination of water, and the resultant move of the FDA to ban chlorine from primary water treatment, leaves ozone as the only desirable and practical method for water purification. This patented process has vaulted our ozone technology within the industry, worldwide, as one of the leading producers of ozone system for commercial, industrial and residential water treatment. Notable customers of Ozotech, Inc. products include: Pepsi Cola, Coca Cola, McDonalds, Sea World, Colex Colenta, Minnesota Zoo, Holiday Inn, etc. Ozone (O3) is an tri-atomic molecule of oxygen. It is also known as Activatedozone2oxygen. Ozone has been used to treat ground and surface water in Europe cities for years, with Nice, France opening its first ozone treatment plant in 1906. 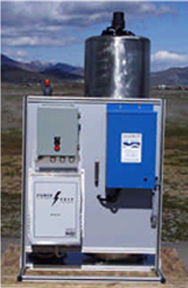 Now, there are more than 3,000 potable water treatment plants worldwide using ozone. Ozone is now the industry standard for treating bottled water. Recently, the cities of Los Angeles, Dallas, and Moscow, built the largest ozone plants in the world for purification of these cities drinking water supplies. The ozone system under construction in Las Vegas will be even larger. 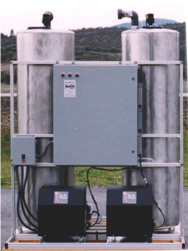 Ozone has wide variety of applications for treatment of water, waste water and air. Ozone is by far the most powerful and safe biocide used for water treatment and purification. Ozone is also the most environmentally friendly biocide, because it reverts to oxygen, leaving almost no harmful residue chemical behind. Ozone is 52% stronger and will oxidize up to 3,125 faster than chlorine in water. Destroys viruses, protozoa, cysts, bacteria. Oxidizes iron, manganese and other contaminants. Reacts by flocculating solids in water.